Select Chromebooks are getting Android apps any day now and if you aren’t already as excited as me, we (finally) have the video of the announcement event from Google I/O to help get you there. This video, in case you were wondering, is of the mini press event that Google held during I/O to both announce and demonstrate how Android apps will work on Chrome OS. During the roughly 25-minute briefing, Google not only walked through scenarios where the seamless integration of Android apps in Chrome OS can help you really get things done, just like you would on a full-blown PC, but they also “geeked out” a bit on how all of this works. The talk notes the Linux container they use to run Android Framework in, on top of Chrome OS, which allows them to keep up with security and have an integrated UI. I’m telling you again, this is pretty game-changing stuff for Chromebooks. 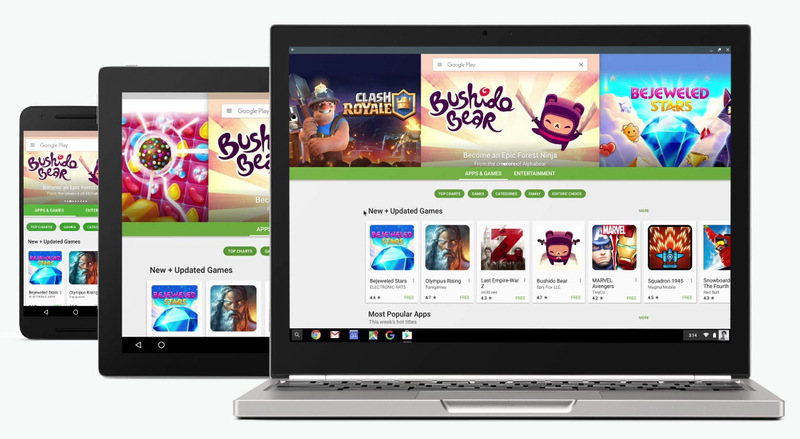 Here is that list, one more time, of the Chromebooks that will soon have Android app support.